The 7¼ mile branch from Maidenhead to Bourne End and Marlow was originally a through line to High Wycombe which opened in 1854, with the spur to Marlow being added in 1873. The Bourne End to High Wycombe section closed under BR in 1970. 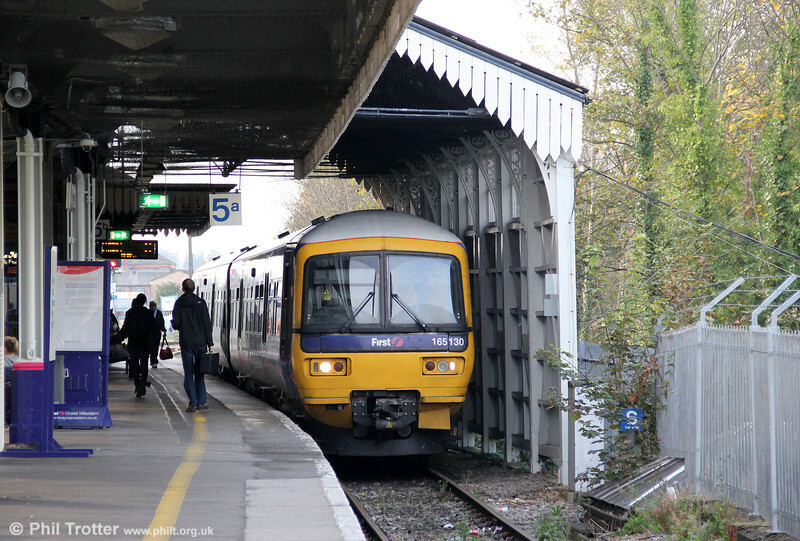 165130 is seen under the branch platform canopy at Maidenhead, having arrived forming the 1306 from Marlow on 12th November 2011. Will this scene survive the Crossrail development?